Energy efficient homes should be more than just an option. They should be the norm. Energy savings every month and peace of mind are the two most important benefits a homeowner can count on when they buy an Environments for Living® certified home. A home certified by Environments for Living® is a high performance home that’s better for you and the environment. Better insulation, airtight construction, and efficient systems all translate to a more comfortable home. The best part is, your energy bills will be lower and that means greater cost savings to our homeowners, not to mention a smaller carbon footprint. 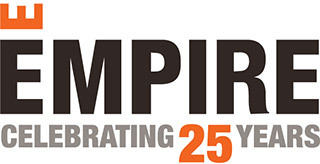 Empire prides themselves on a high standard of quality when building your home. It’s important that all our homes meet a certain level of standards and come with an industry stamp of approval. All Empire homes are inspected by DPIS Engineering, the industries leader in Quality Assurance covering engineering, energy, inspection and quality assurance for building construction.